Presenting an overview of chiral drugs and their impact on the pharmaceutical industry, Chiral Drugs: Chemistry and Biological Action provides an integrated perspective of chiral drugs from concept, synthesis, and pharmaceutical properties. 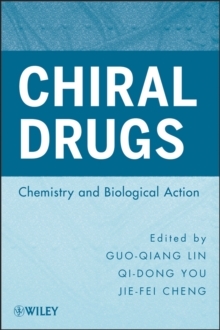 The book includes important chiral technologies and reviews of 200 chiral drugs that have either been approved or made it to advanced trials. It's interdisciplinary approach combines synthetic organic chemistry, medicinal chemistry, and pharmacology in a way that fosters cooperation among interdisciplinary scientists and researchers in both academia and the pharma or biotech industries.